We all have the ability to push aside accepted conventions to revolutionize the way we view modern leadership and become exceptional leaders. Neill Wallace looks back at his own personal and workplace experiences. 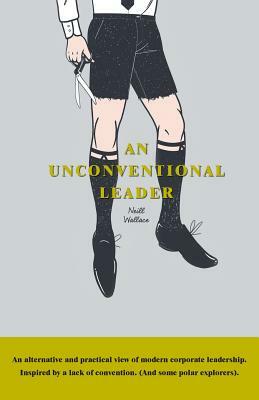 Inspired by other leaders - from polar explorers to contemporary businesspeople - Neill gives a straightforward view on how you can truly get to know, understand, and inspire your team members. Determine the type of leader you are and learn how you can effectively use your natural style to put people first. Empower yourself to make positive changes. Hire and promote people best suited for the job. Increase employee engagement by allowing them to contribute more to the organization. If you've never quite fit the mold, prefer the freedom of being outside the box, believe that everyone can contribute to an organization's success, then this guidebook is for you. While you may have to disturb the status quo, you will find engaging your team and achieving goals easier when you apply the lessons of An Unconventional Leader.